» CAD design/mold flow analysis/DFM. 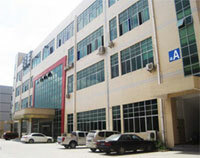 » Injection mold, die-casting making, CNC turning. » Rapid prototyping, low volume production. » Painting, skill printing, assembly. Custom injection mold manufacturing and plastic injection molding in China.